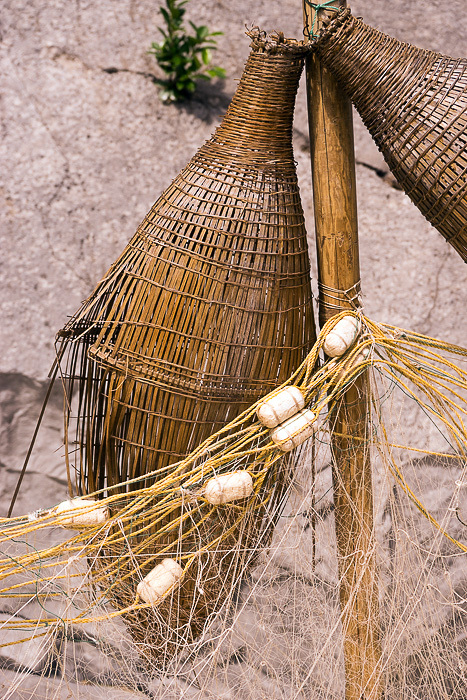 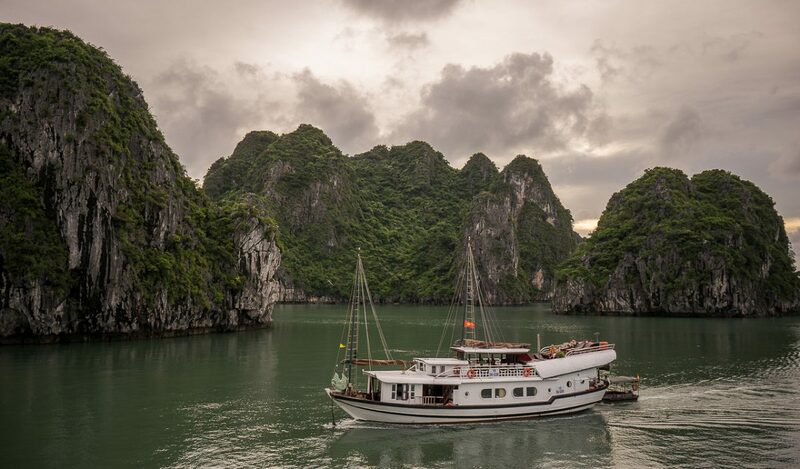 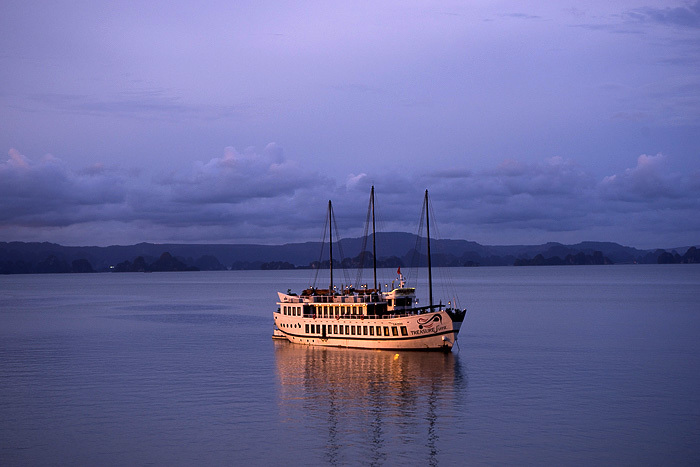 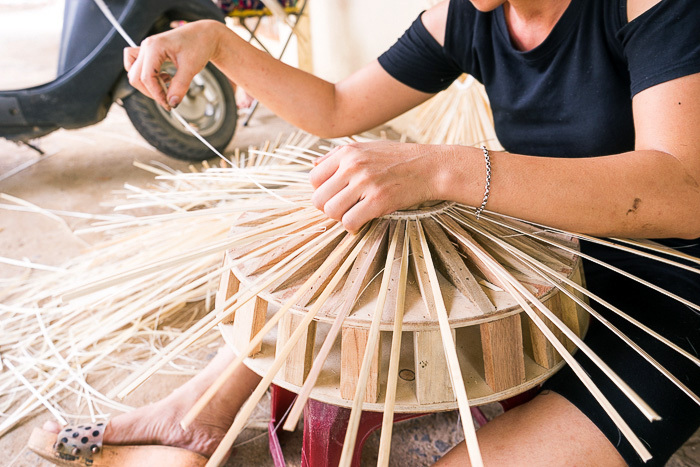 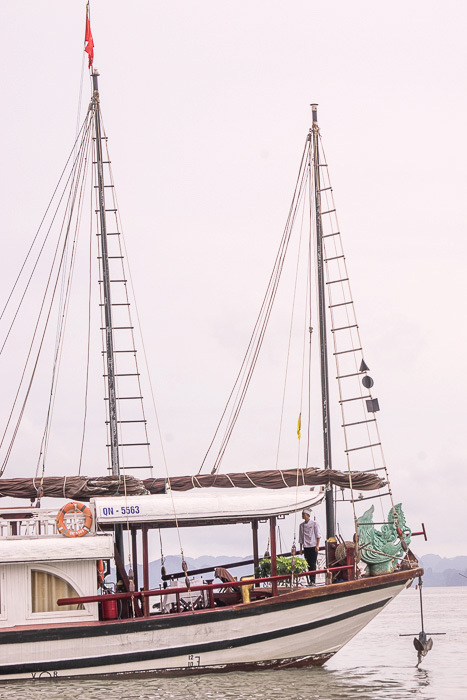 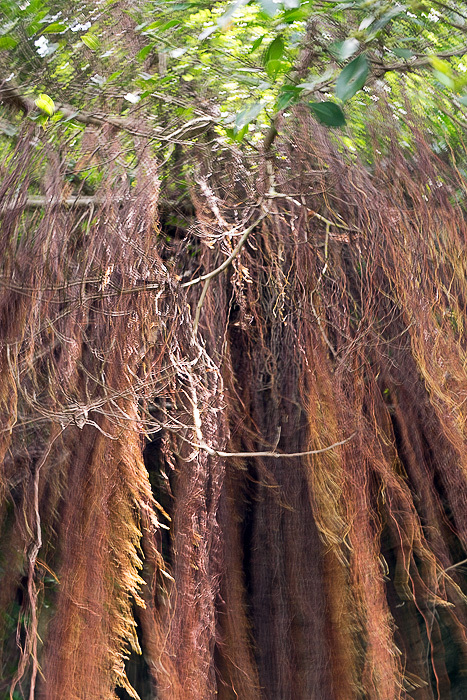 In the end, we opted for a two-night, three-day tour with Indochina Junk, aboard the Dragon Legend. 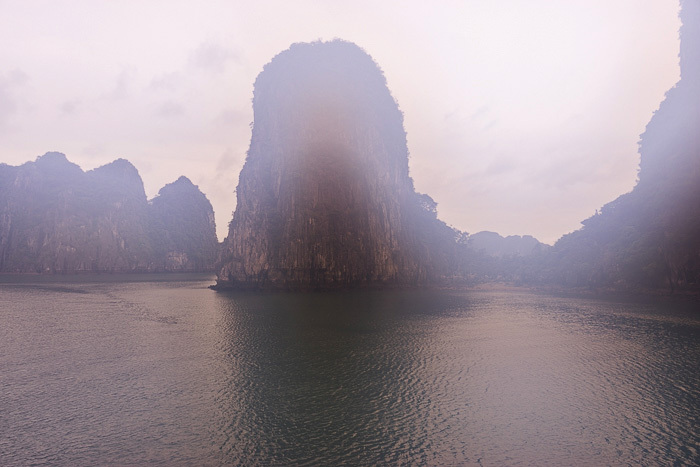 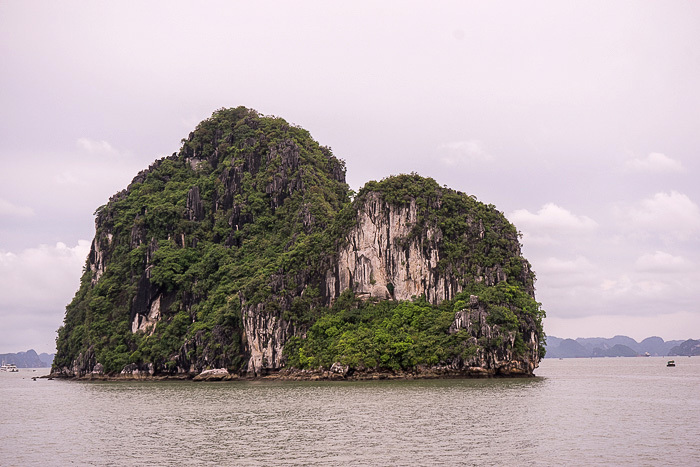 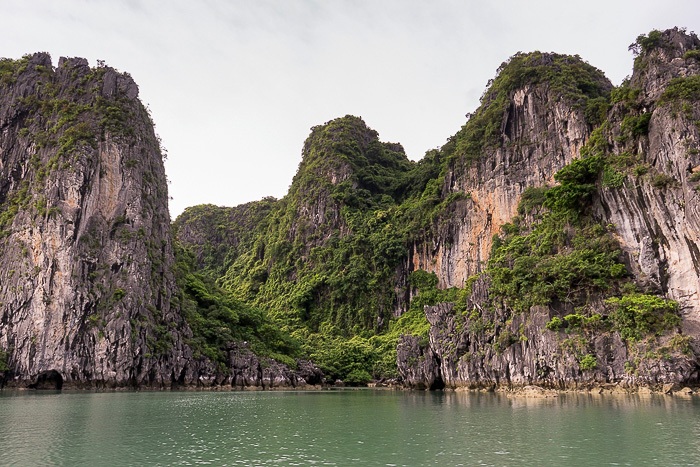 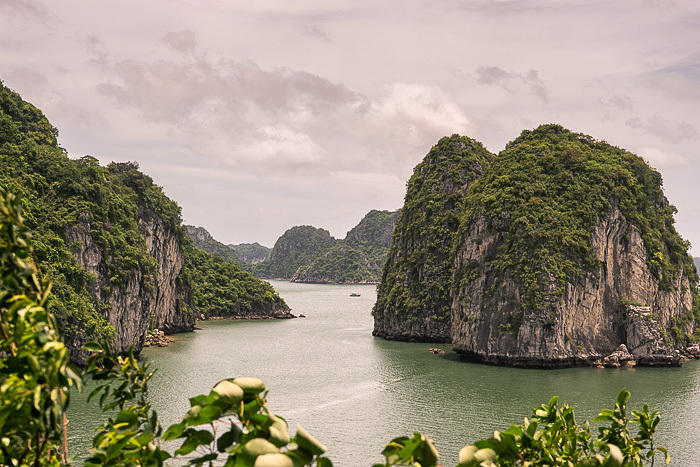 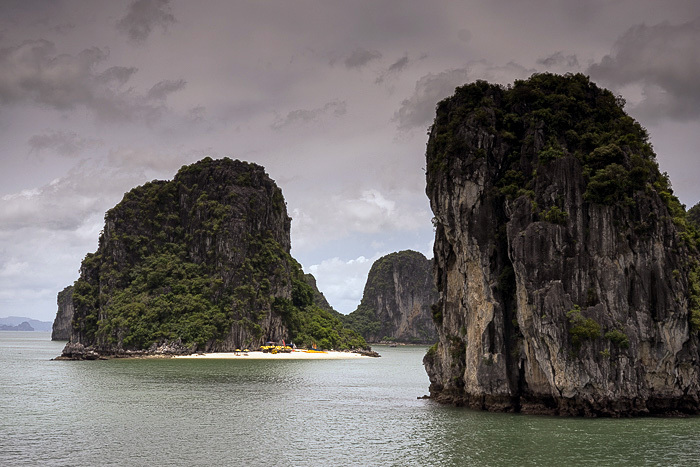 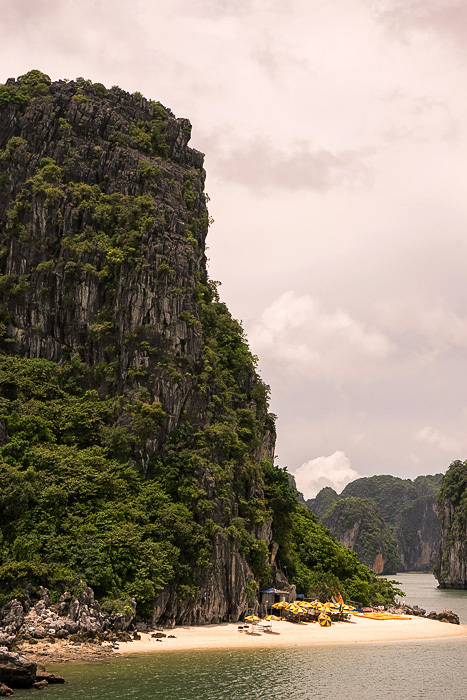 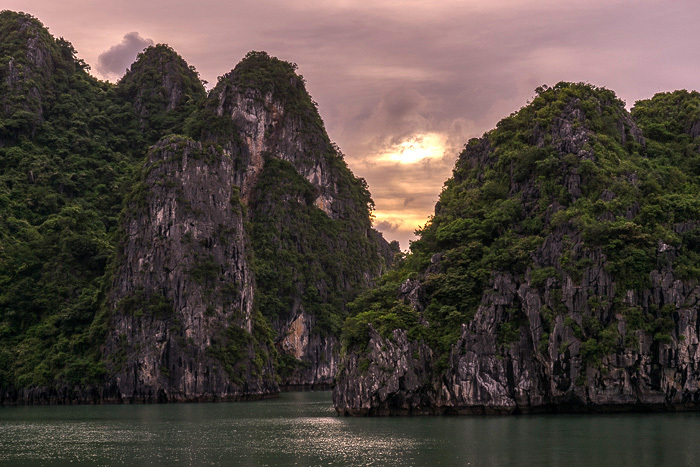 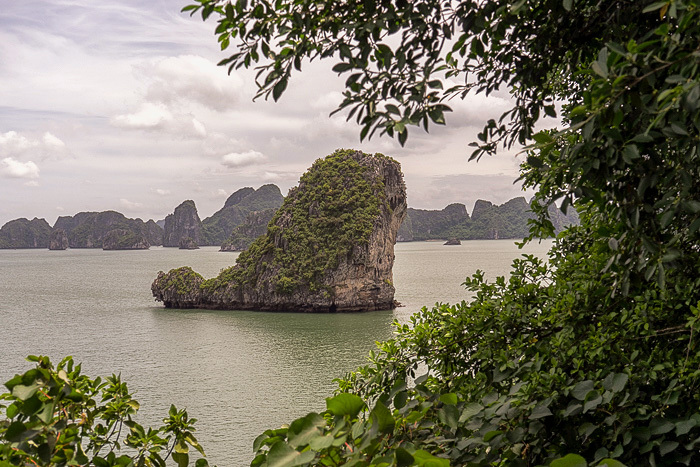 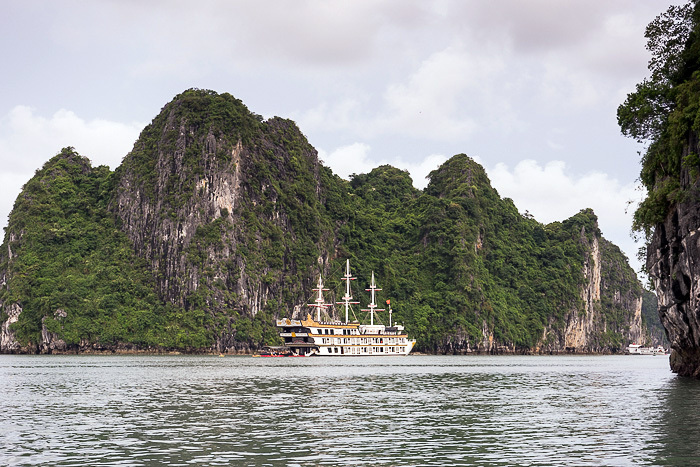 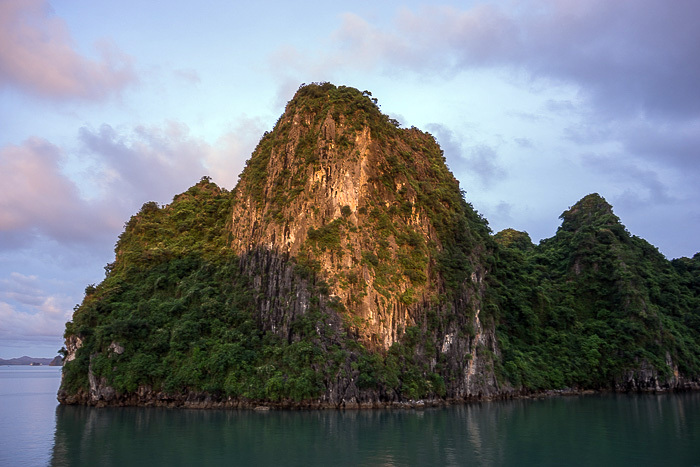 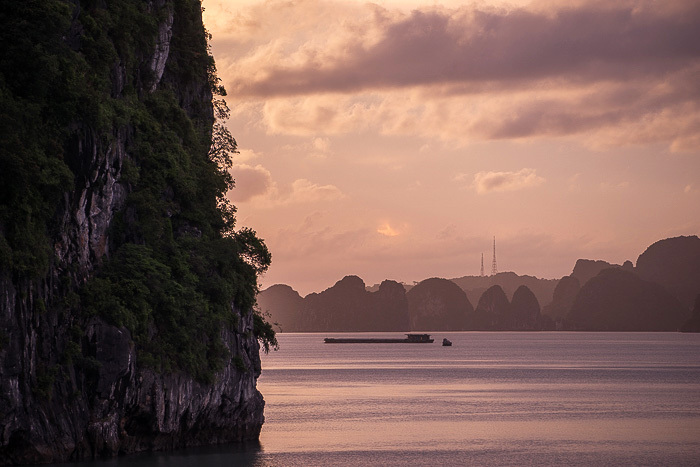 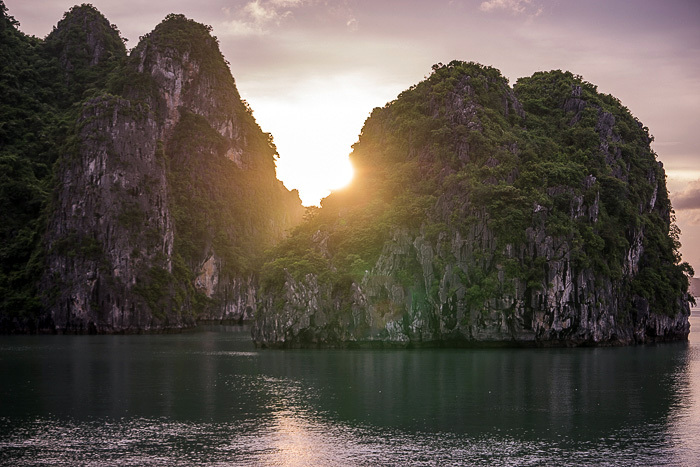 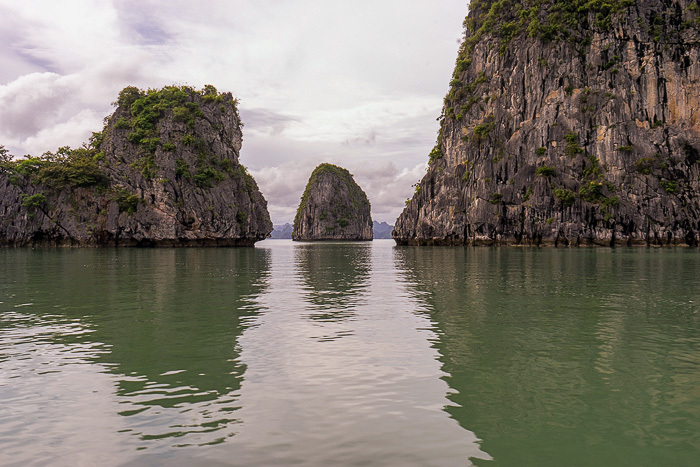 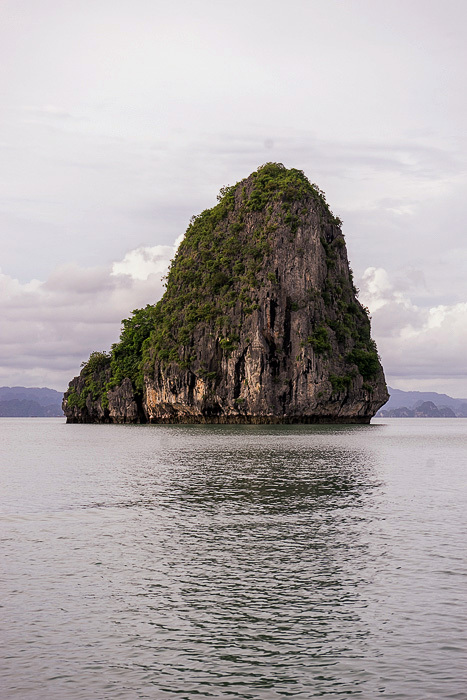 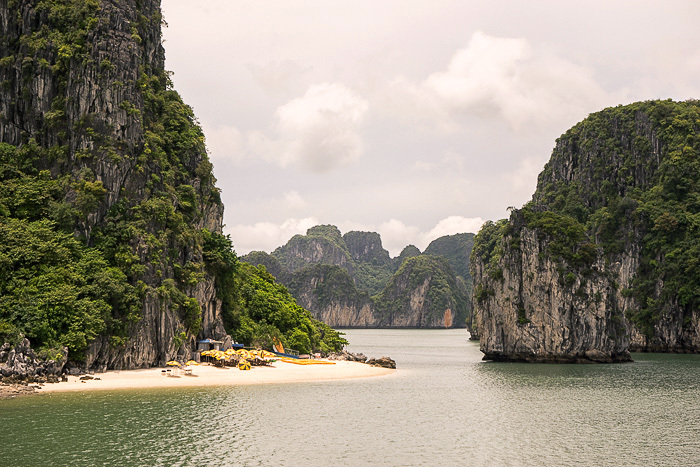 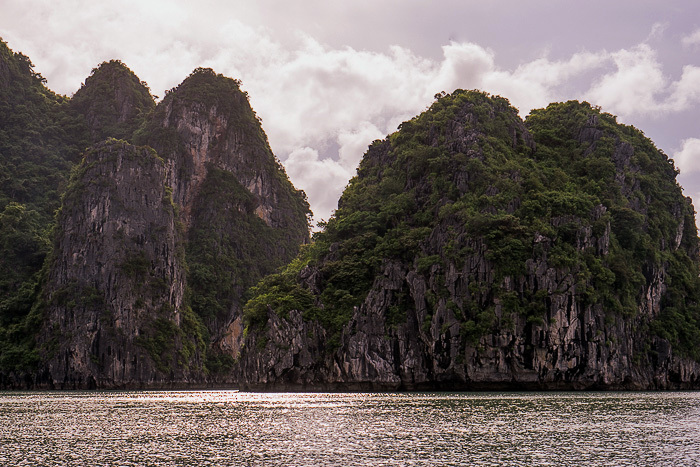 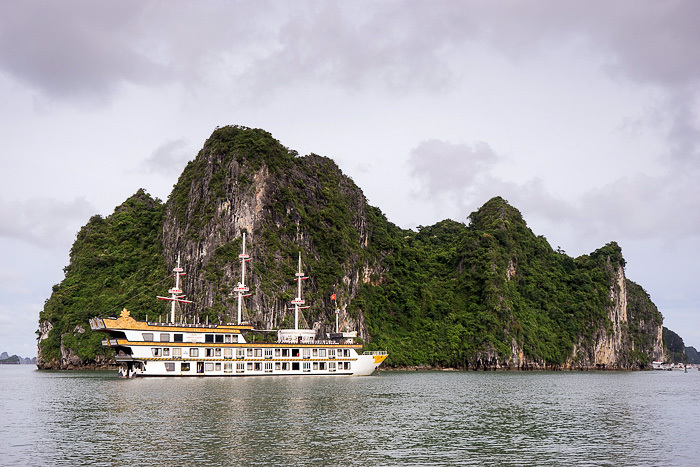 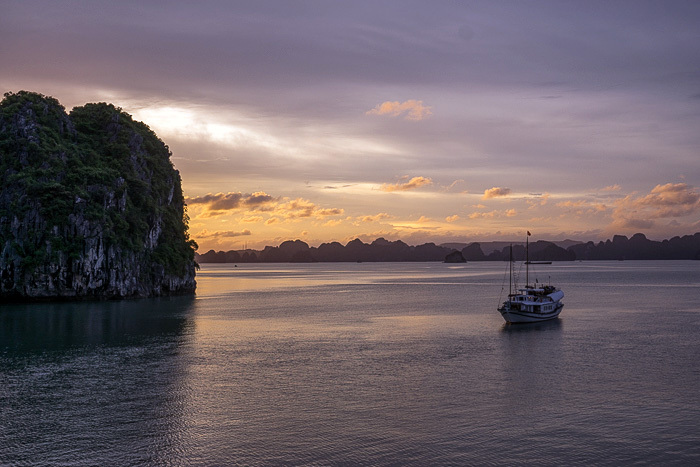 This was a semi-luxury cruise, and although it was more expensive than we’re normally comfortable spending, we knew that cheaping out on Ha Long Bay would almost certainly result in a bad experience. 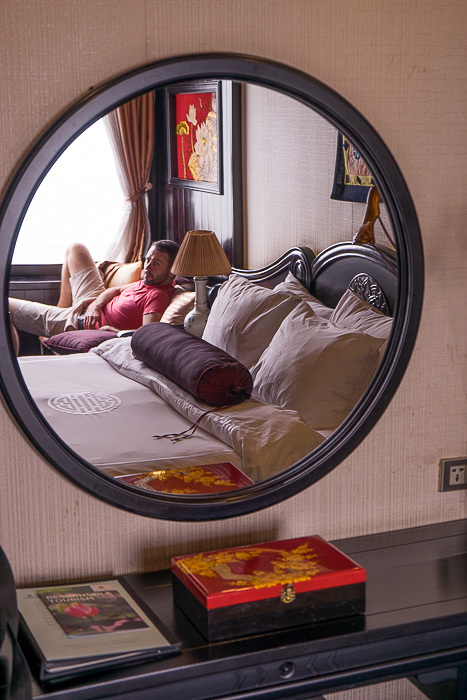 And besides, it was my birthday, so we were able to justify the cost as part of my present. 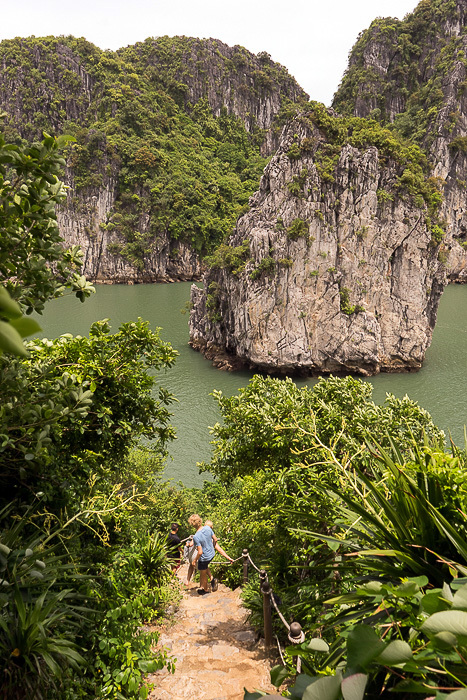 I don’t think we could have made a better decision. 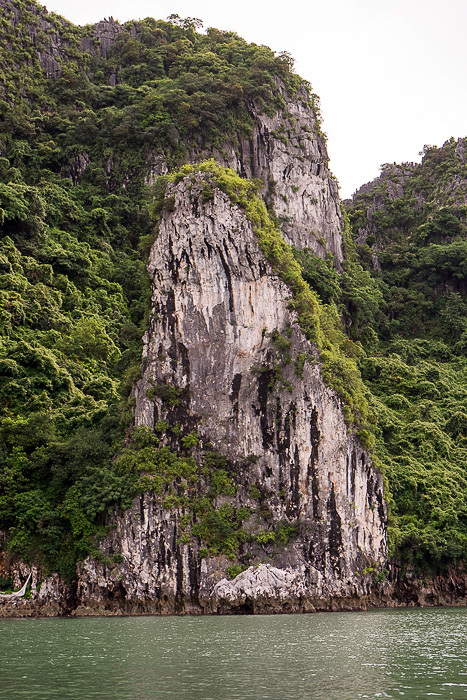 The Dragon Legend was more stately than I had assumed. 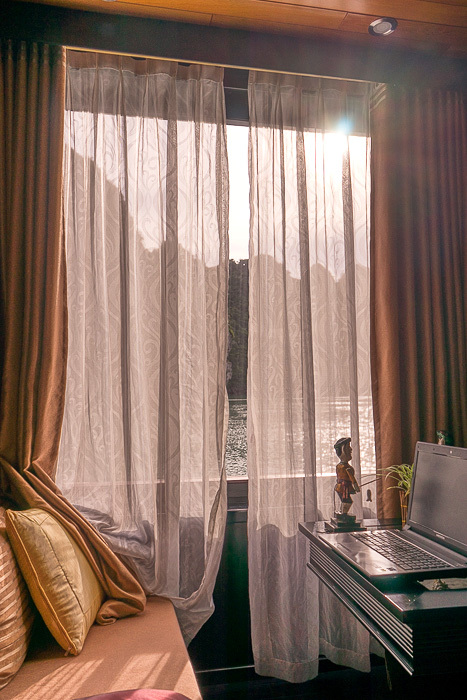 Sure, we’d seen pictures of the rooms, but we didn’t expect them to actually be so incredible. 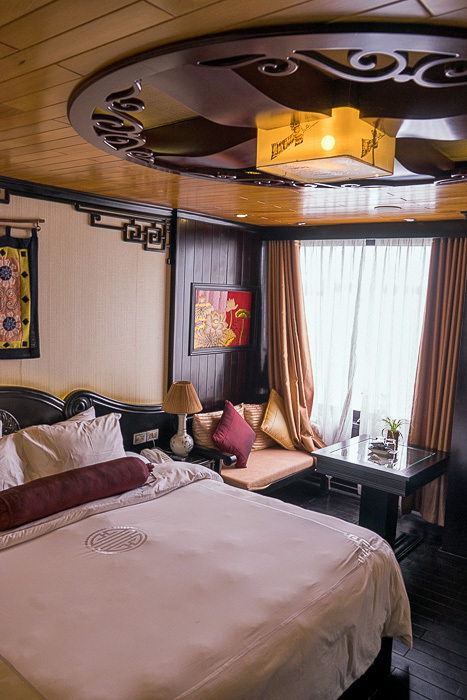 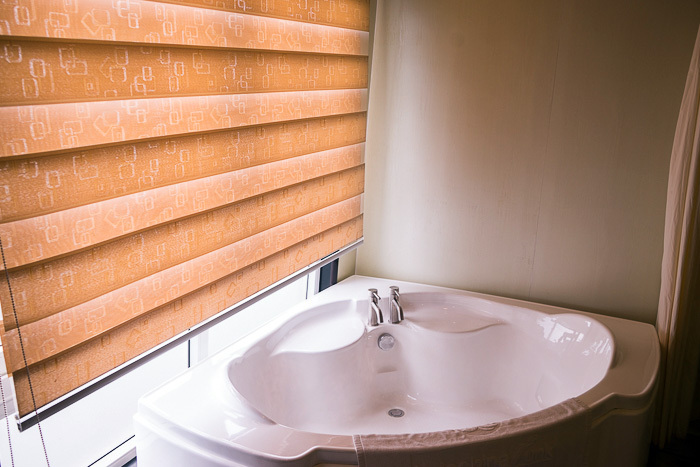 Ours had a huge bed, a jacuzzi, tons of space, and wide windows that allowed us to appreciate the beauty of Ha Long Bay by moonlight. 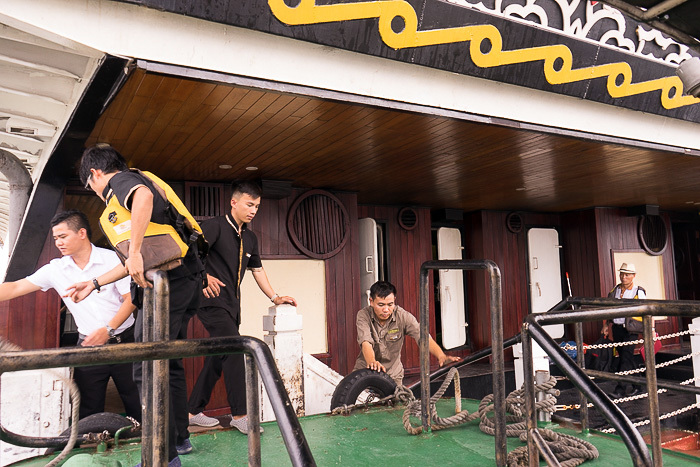 The boat had about fifteen rooms, so although this wasn’t a “private” tour, there weren’t too many other guests. 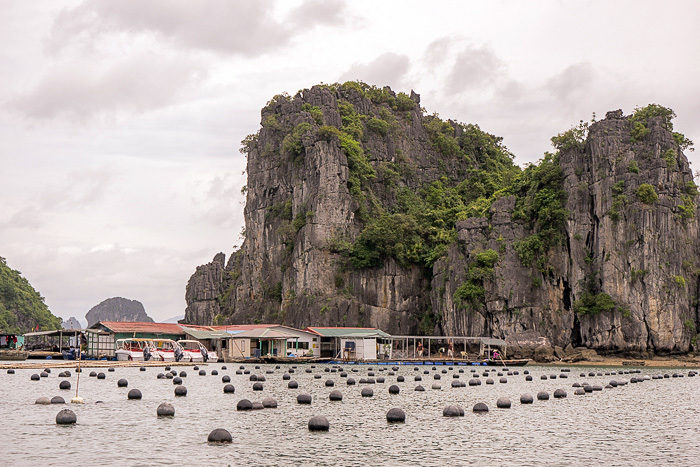 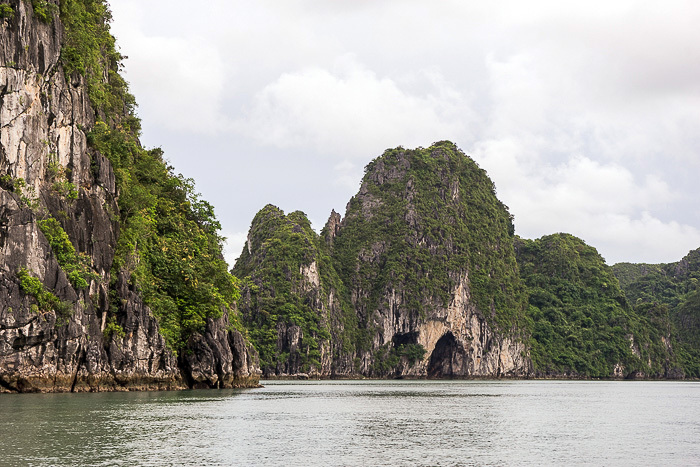 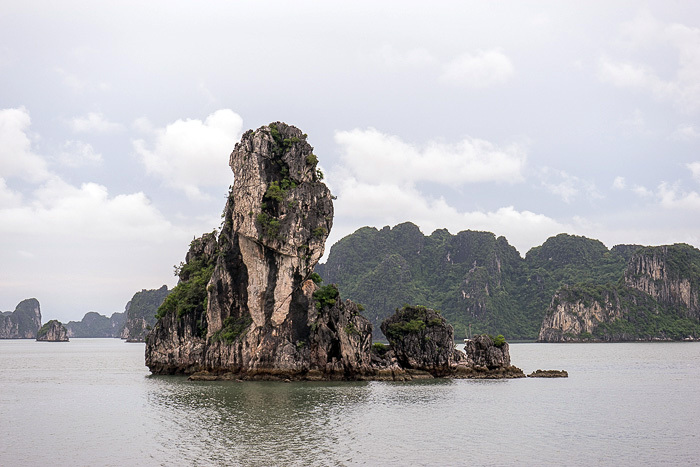 Probably the most important aspect of our trip was the fact that the Dragon Legend tours Bai Tu Long Bay, which is actually to the northeast of the regular Ha Long Bay tourism route. 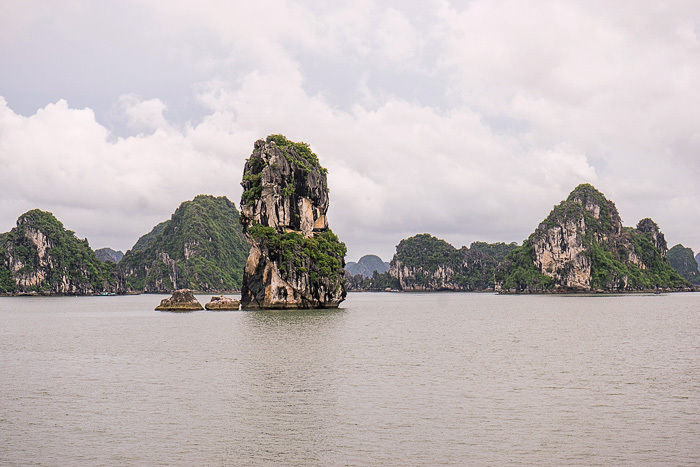 Bai Tu Long is still technically a part of Ha Long Bay, and has the same amazing scenery, but it has almost none of the crowds. 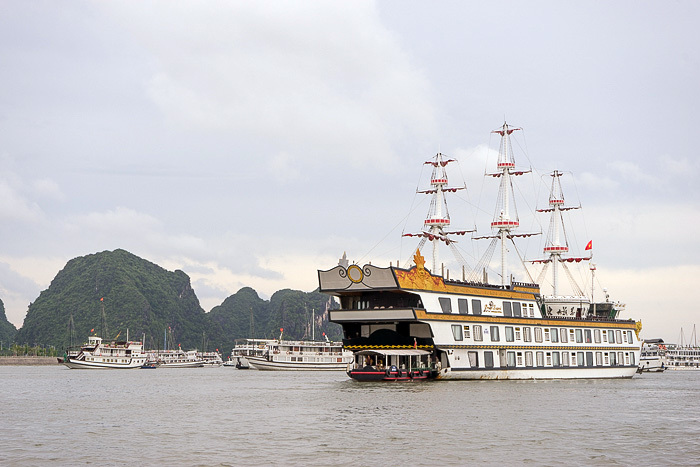 During our trip, we saw a few other ships, but it was nothing like the clogged horror-show we had been fearing. 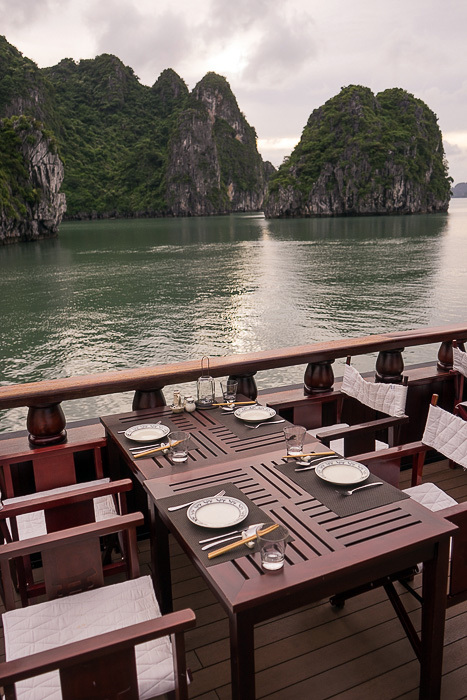 The crew aboard the Dragon Legend was great (if a little pushy about leaving Trip Advisor reviews), and the food was excellent. 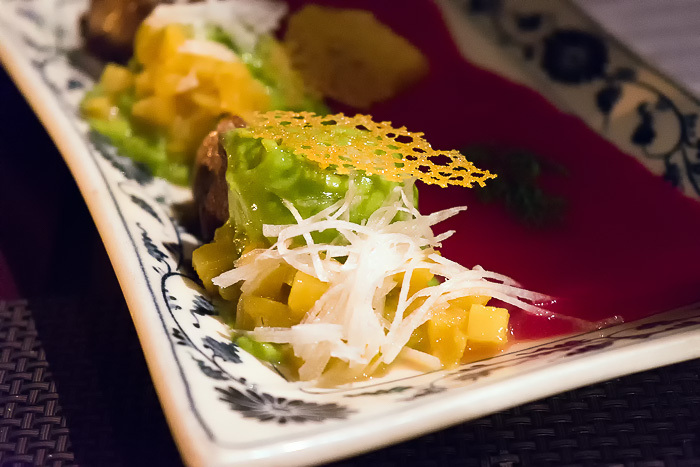 In fact, the meals were so elaborate, that I started to weary of them. 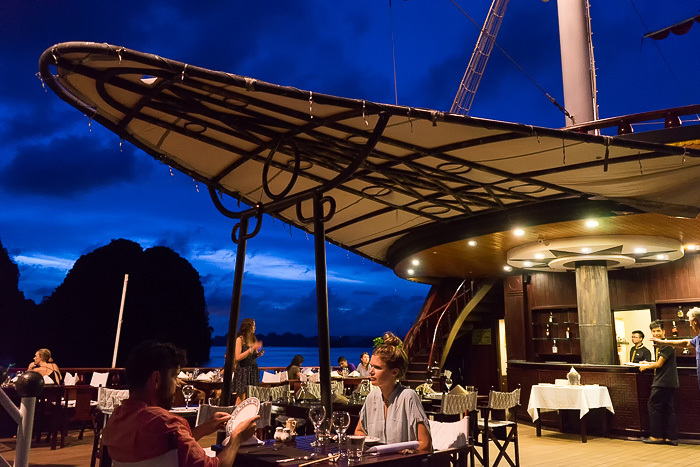 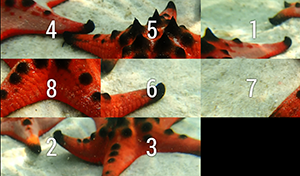 Already time for another six-course dinner? 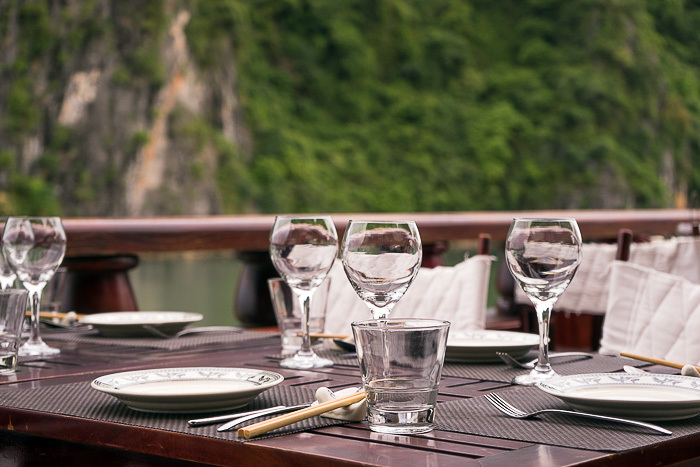 I would actually prefer to chill on the deck with a glass of wine, but I will make the sacrifice if I must. 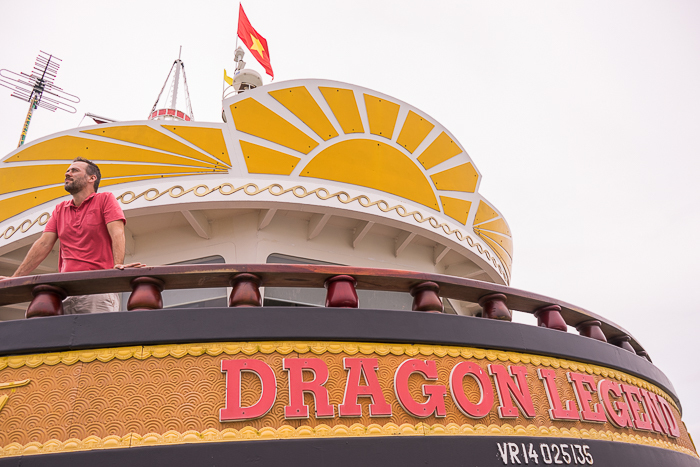 Any gripes we had were minor, and it’s doubtful that we could have found a better boat in our price range than the Dragon Legend. 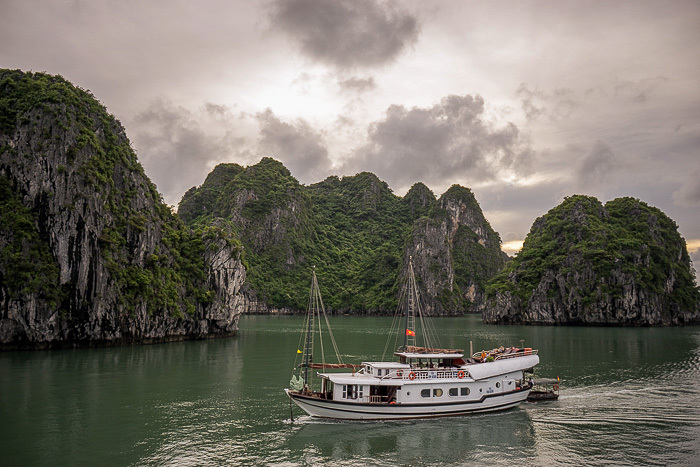 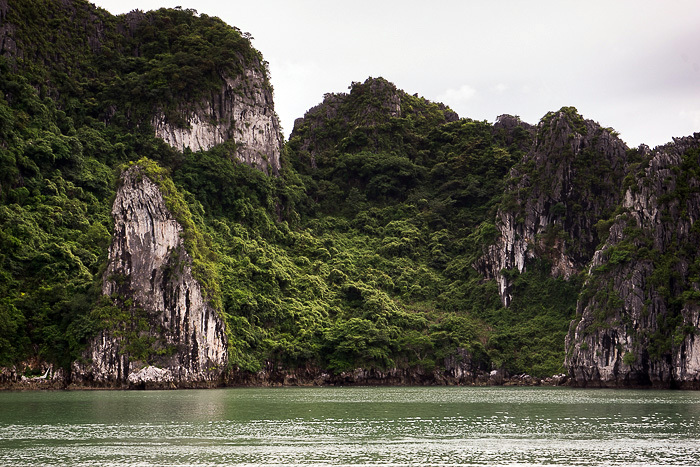 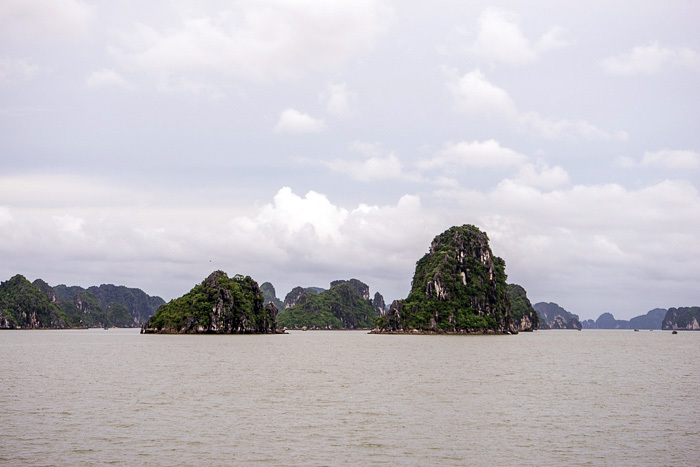 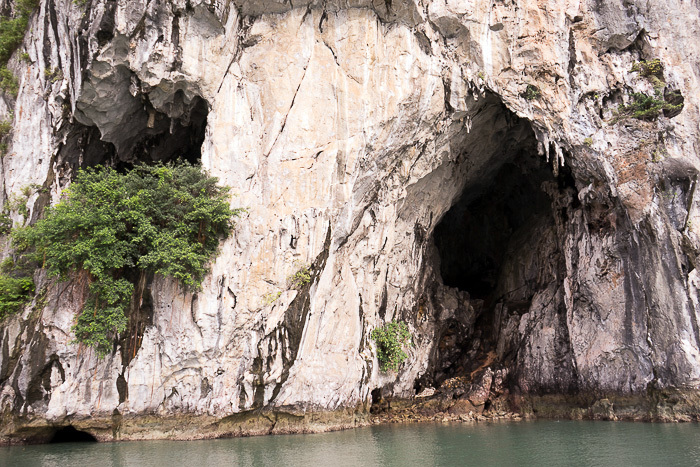 I have a feeling that the enjoyment of a Ha Long Bay tour is tightly correlated to how much you’re willing to spend. 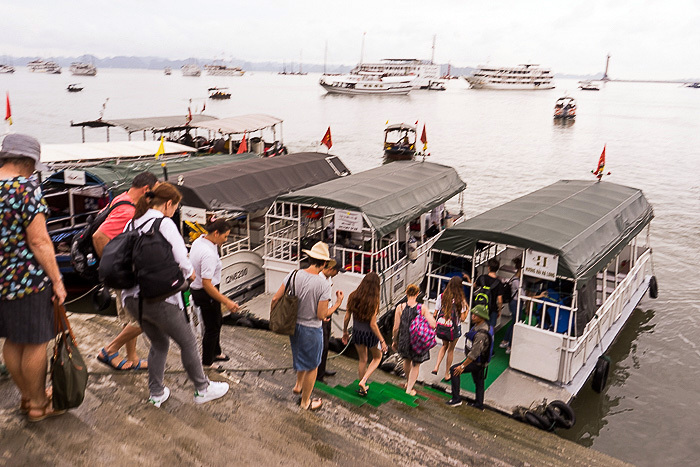 Also, make sure to consider tours that are off the “regular” route. 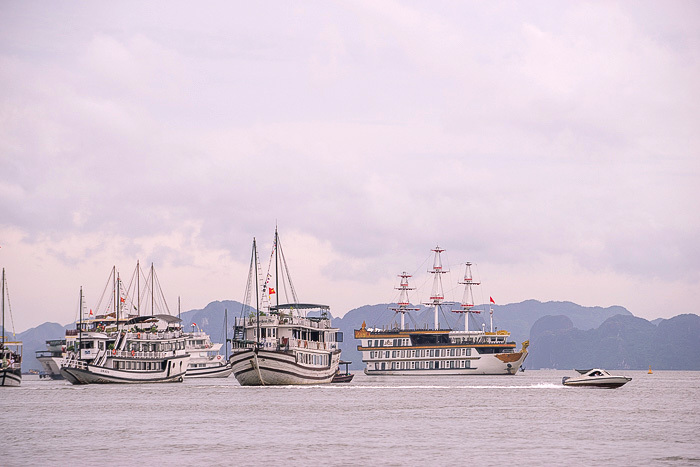 Ha Long Bay occupies a huge area, and there are many companies to choose from, so there’s no reason to follow the crowds.